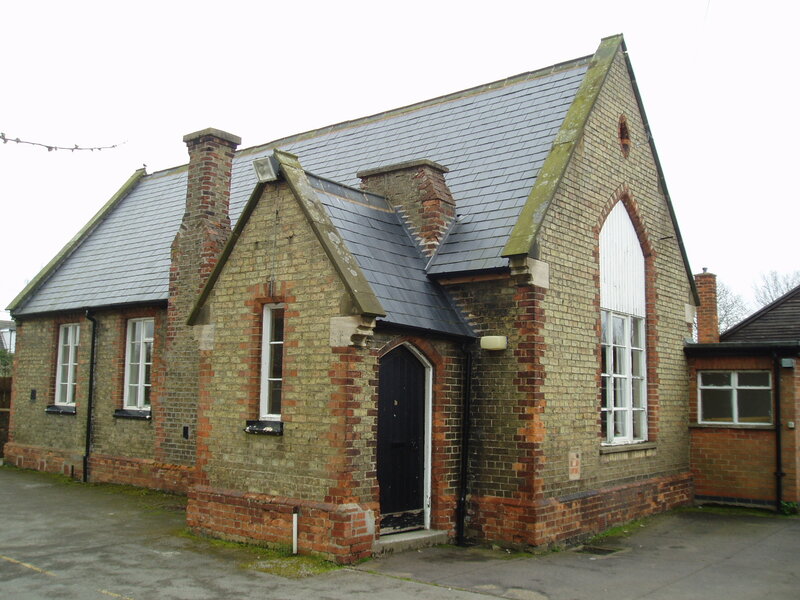 The Dunholme Old School was built in 1864 under the "School Sites Act" of 1861 whereby any piece of land could be donated for use as a place of education. The land that the School stands on was donated by William Tougue of Branston for a School for the education of Children and Adults or Children only of the labouring, manufacturing and other poorer class in the Parish of Dunholme aforesaid and as a Residence for the teacher or teachers of the said School and for no other purpose. 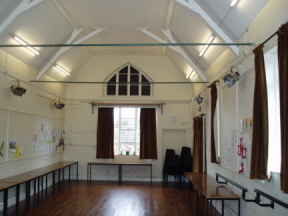 A view from the rear of the Old School showing the head techers study which was an addition in the 1890's. 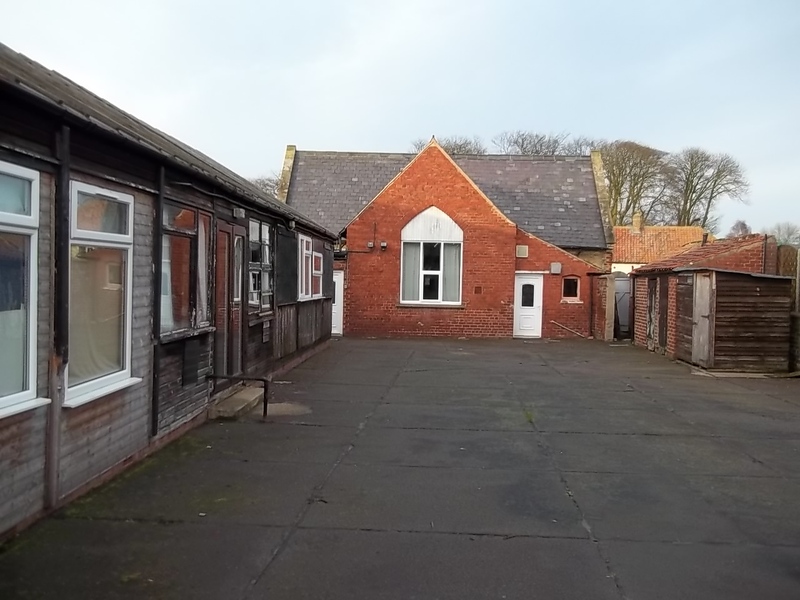 The door on the right now goes into the kitchen and the refubished wooden building on the left was built in 1959 as two extra classrooms. Its now home to the Lincolnshire Association of Local Councils offices, LincsPhoto and an IT suite. The Dunholme Trust shield has been taken from the village sign designed by John Ritchie BEM. It incorporporates a green diagonal line representing the A46 trunk road that goes through the parish. Coloured green as that is the colour used on the national road maps. The wavy blue line represents the beck which also runs diagonally throught the paish and crossing at the centre with the old A46 road. The top quadrant depicts the rural nature of the Parish. The left Quadrant is the cross of St Chad, the patron Saint of our Parish Church. The right Quadrant of three trees represents the Nature Reserve and Monks Wood on Ashing Lane. The bottom Quadrant is three Lancaster bombers representing the RAF base of Dunholme Lodge used druring WW II. In the centre is a bishops mitre representing the Bishop of Lincoln who is still the "Lord of the Manor". All is sumounted by a scroll with the name of our village and includes the name of the trust.